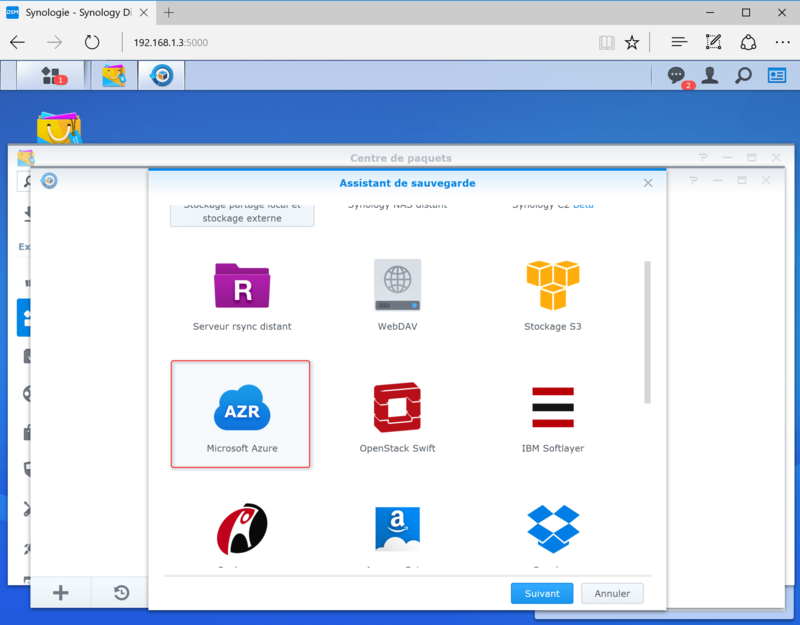 If you have a Synology NAS, it may be interesting to enable backup of this NAS in the cloud. So even in the event of loss of a drive (and if the RAID has not been enabled), it is possible to recover the data easily. 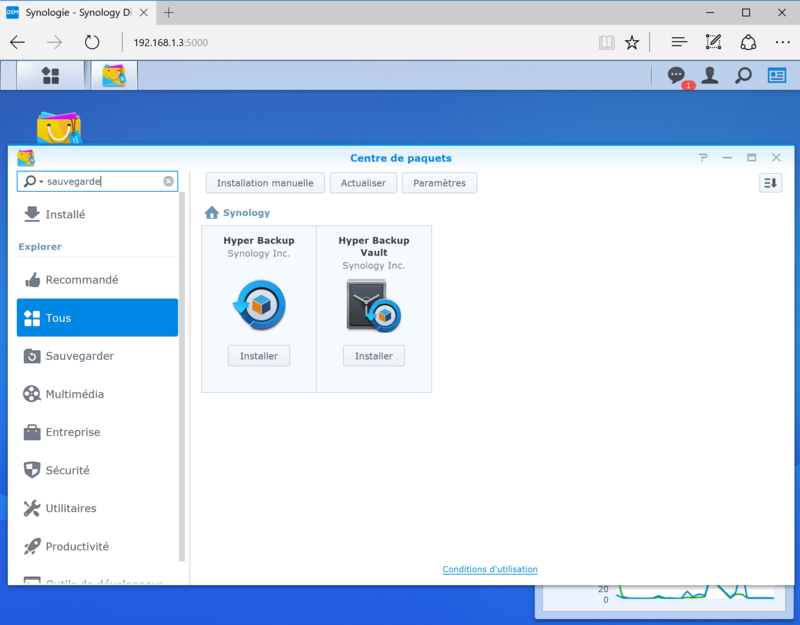 It is possible to backup in several cloud, this article is about the backup in Azure. 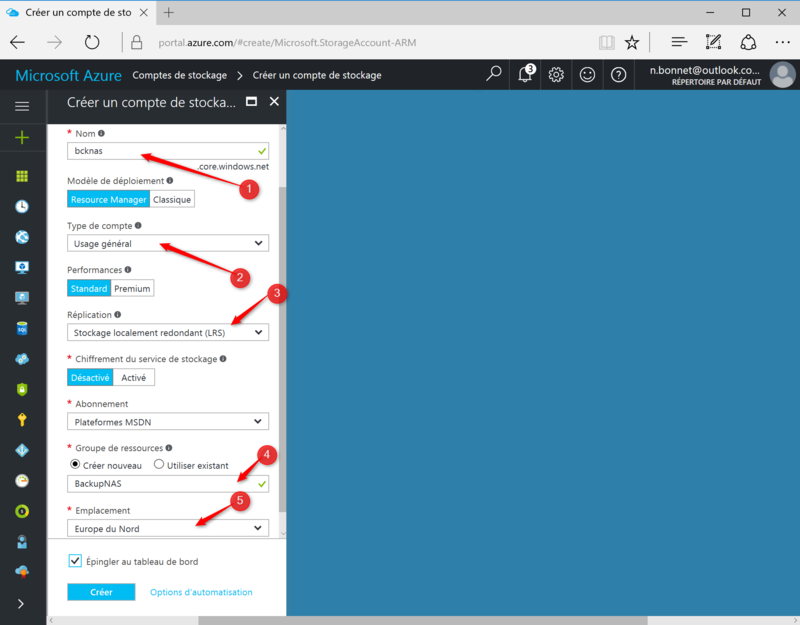 How to implement the backup in Azure ? As a first step, it is necessary to own azure. The link below to calculate the cost of storage. 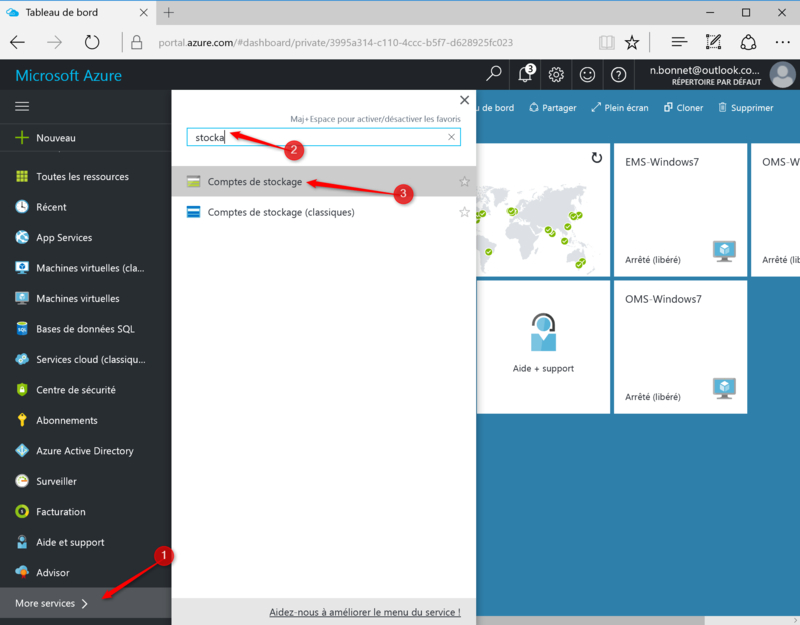 is necessary in the Azure portal (Azure.microsoft.com) to create a storage account. Click the link More services in the search field, enter storage. Click on account of storage. A new Windows appear, click Add. Enter the name of the storage account, as well as the account type and the desired replication. Configure the Group of resources you want, and then in the drop-down list, select location. Click on the Create button. 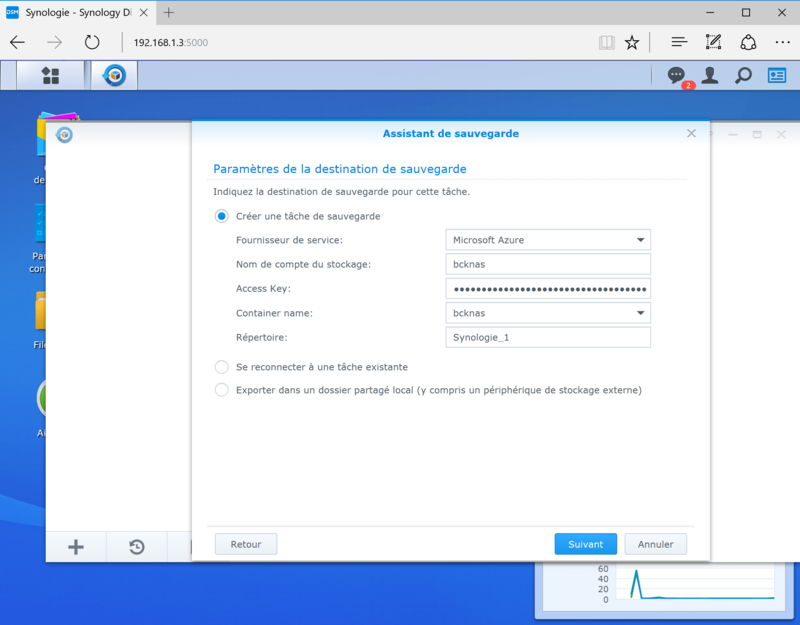 Once created, the storage account appears, click on access keys. The key and the connection string are present. This information is required to configure the NAS. Once installed do at the opening of the package, then select Microsoft Azure and click Next. 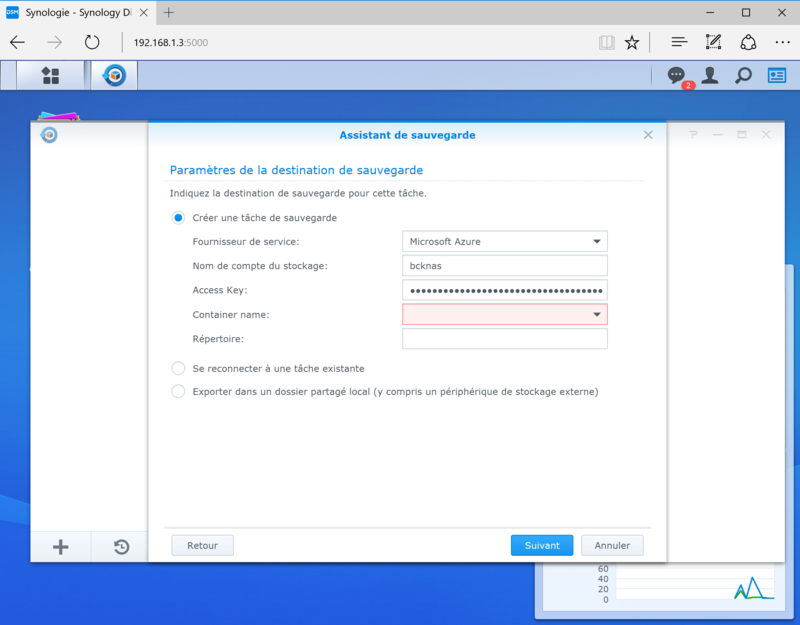 Enter the name of the storage account followed by the Access Key. 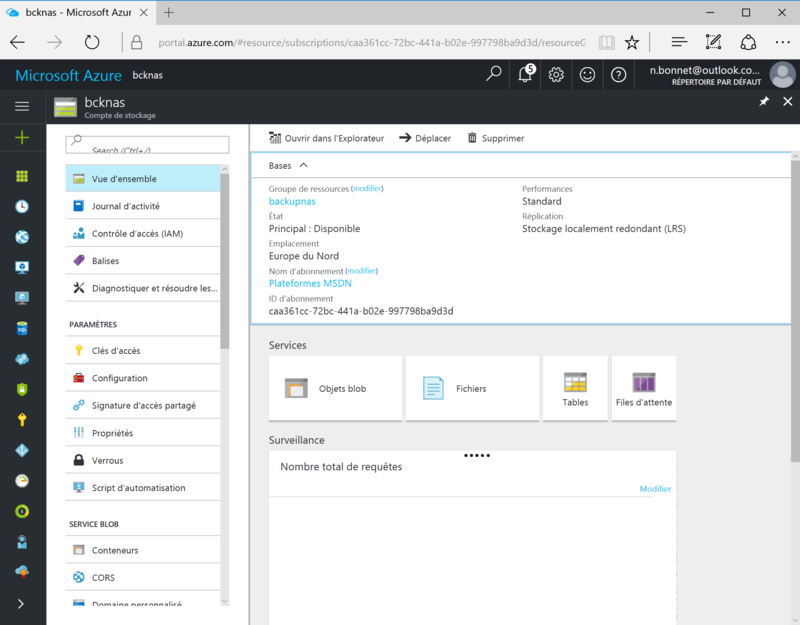 The Access Key must be copied from the Azure portal (Key). In Container Name, select Create a new container. Enterthe name you want, and then click OK.
Click apply and then click Yes to start the backup.